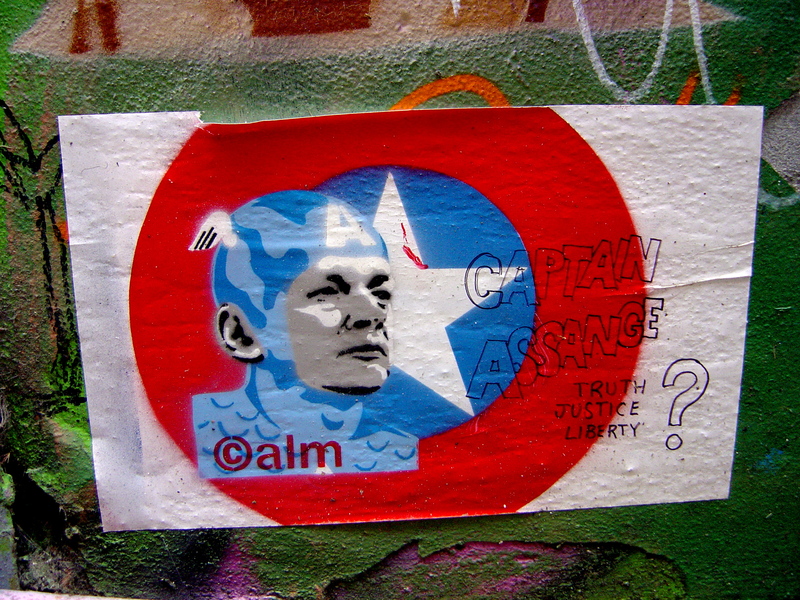 Melbourne street art has a tradition of doing stencil images of famous people so it was no surprise that images of Julian Assange of Wikileaks started to appear late last year. 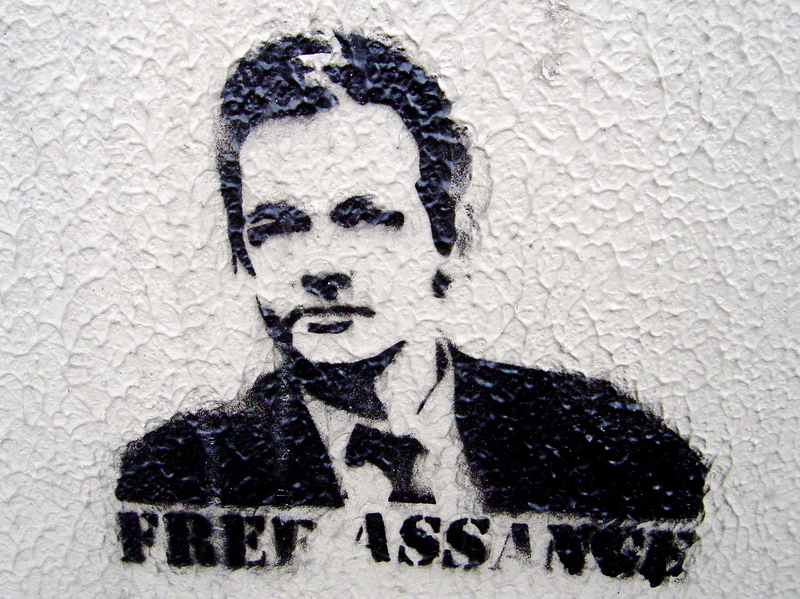 Some of the artists have made political comments like the anonymous stencil that calls for “Free Speech” under his image. Much of it is also about the fame of the face depicted; a movie or TV stars are more likely than a political figure. 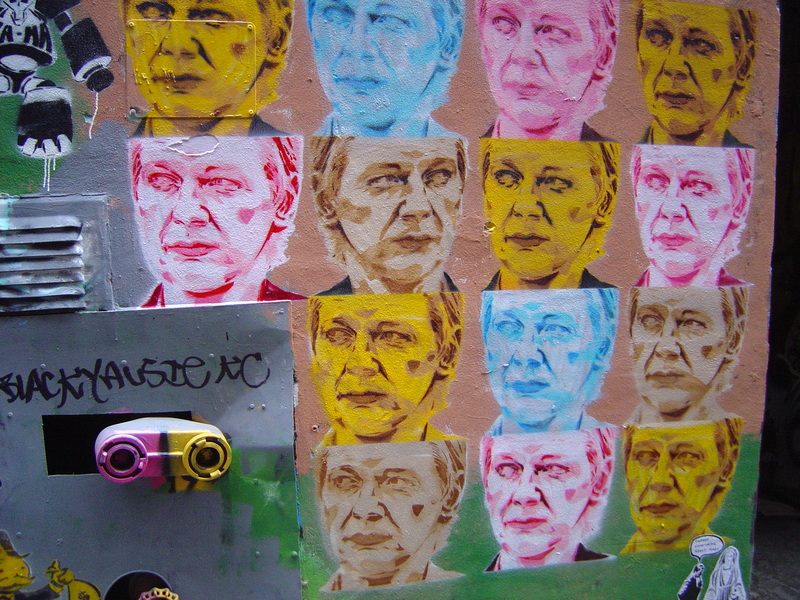 As his fame increased a number of Melbourne street artists have depicted Julian Assange. 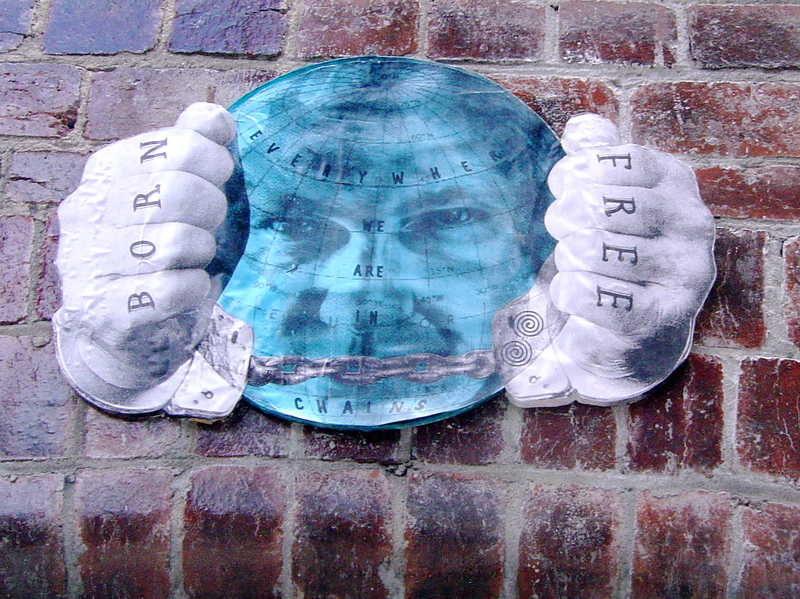 Phoenix looks at the deeper issues behind the arrest of Julian Assange and creates an image of global oppression, quoting Rousseau: “born free but everywhere we are in chains.” Phoenix’s paste-ups have a political or social comment – they are multi-coloured works with shape cut MDF backing and a coating of polyurethane that makes them both weather resistant and difficult to remove. HaHa, following the Pop Art tradition of repeating the images of celebrities as contemporary icons stencils, has depicted many famous faces. 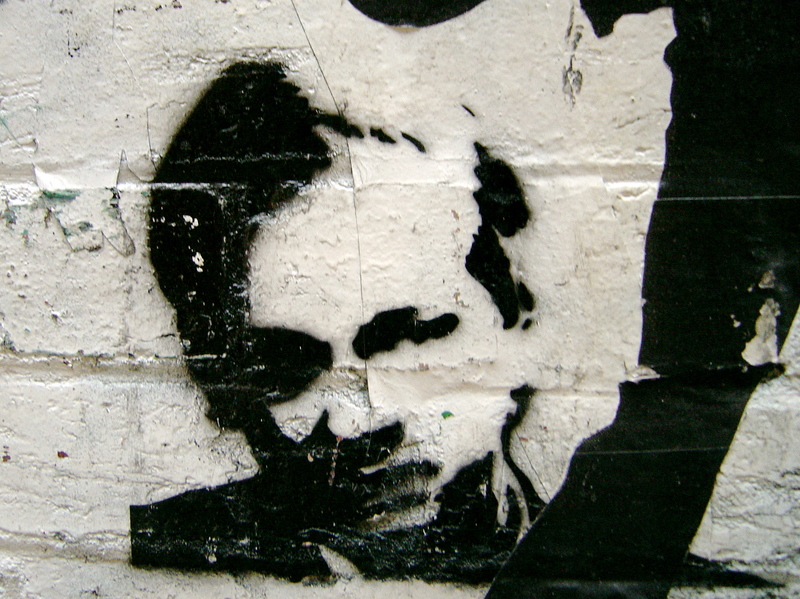 From bushrangers, to gangsters, to whistleblowers Julian Assange is yet another famous criminal that HaHa has portrayed. It is all about fame just as graffiti is all about fame and notoriety. HaHa stencil has three or more layers, it is repeated in a grid in various colours in a reference to Andy Warhol’s silkscreen celebrity portraits. P.S. 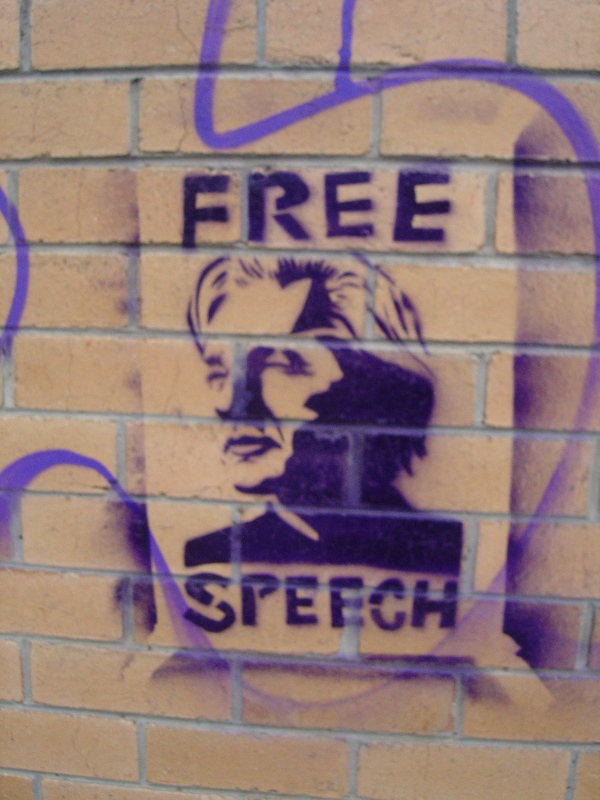 I found more street art portrait of Julian Assange. Calm pasted one just below HaHa’s multiple stencil portraits in Hosier Lane.